An oven-baked chicken drumstick that taste almost like fried chicken, with no grease and an easy clean-up. The chicken stay juicy and healthy as they are baked than fried. 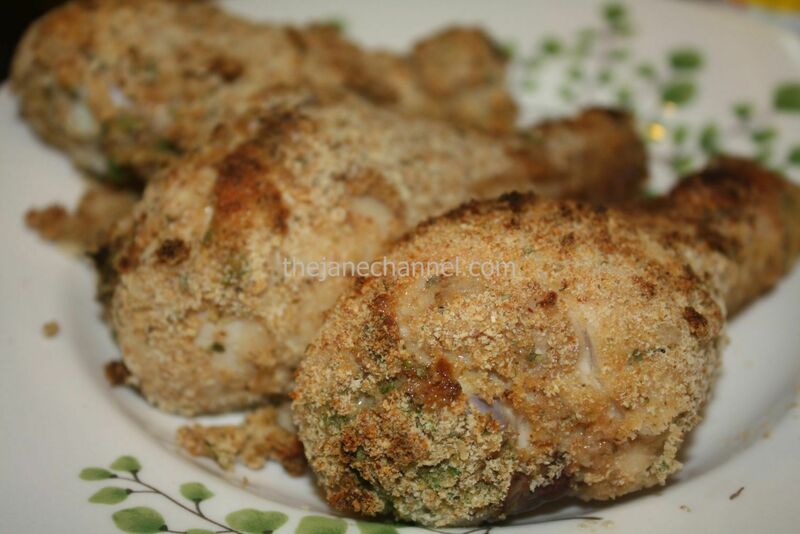 Underneath the crispy and herb crusted skin, the drumstick is packed with flavors. The mayonnaise also provides an extra layer to the drumsticks, which keeps the meat moist and tender. Serve with mashed potato or salad. Preheat oven to 425°F. Spray oil evenly on a baking sheet. Combine mayonnaise, mustard and Worcestershire sauce in medium bowl. Combine breadcrumbs, green onions, pepper and salt in another medium bowl. Dip drumsticks in the mayonnaise mixture, dip to coat. 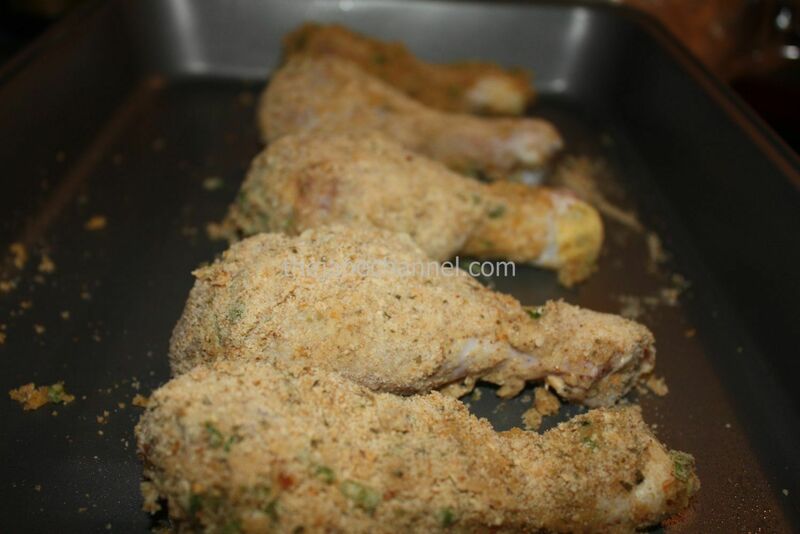 Then place drumstick in crumb mixture; turn to coat. Source: Deviled Drumsticks recipe from Bon Appetit with modification.